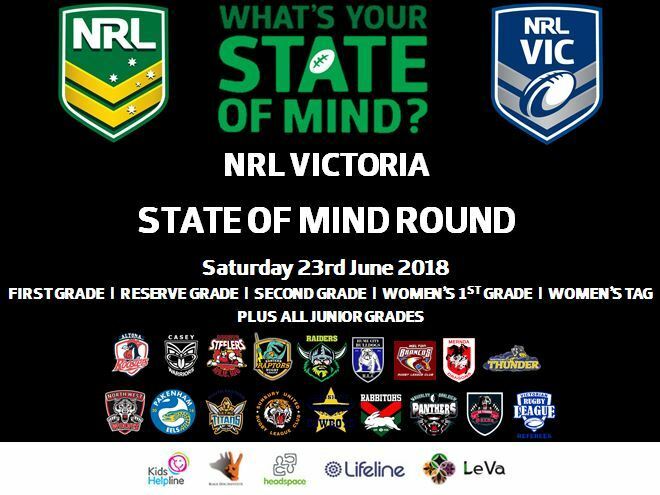 This weekend, NRL Victoria will be supporting mental health awareness in the community through our State of Mind Round. 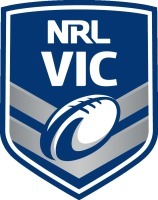 This is an initiative NRL Victoria, in partnership with the NRL, have increasingly supported over the last couple of years and will continue to be supported in future NRL Victoria seasons. In Australia, 1 in 2 people are affected by mental illness, and at the crisis end, suicide is the largest killer of individuals aged 15 – 44. It’s Australia’s single biggest health issue and, as Australia’s biggest sporting community, the NRL can and should play a pivotal role in improving the outcomes for those affected. - Increase mental health literacy across grassroots Rugby League clubs. - Stimulate help seeking behaviours of club members and community. 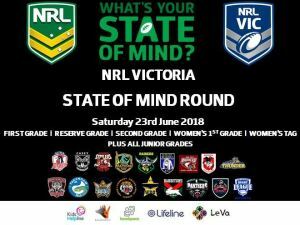 - Develop elite players to be leaders in mental health advocacy within their Clubs and communities (NRL level). A number of our Victorian clubs will be supporting mental health awareness this weekend. Doveton Steelers and North West Wolves play for the Ray Ertl Cup once again in memory of Raymond Ertl who played for both clubs and represented Victoria. Games at Betula Reserve will kick off from 9am with the main game at 3.35pm. On the following weekend, Saturday 30th June, Waverley Panthers will play host to Altona Roosters for the Hayden Butler Memorial Trophy in memory of former Waverley player, Hayden Butler. The foundation has done some terrific work over the years in mental health awareness. ‘You have a choice’. We would like to thank these clubs, and all other clubs sharing stories on their websites and social media for their efforts and support in raising the awareness of mental health in our community. If you or anyone you know needs assistance, do not hesitate to call one of the following mental health helplines.